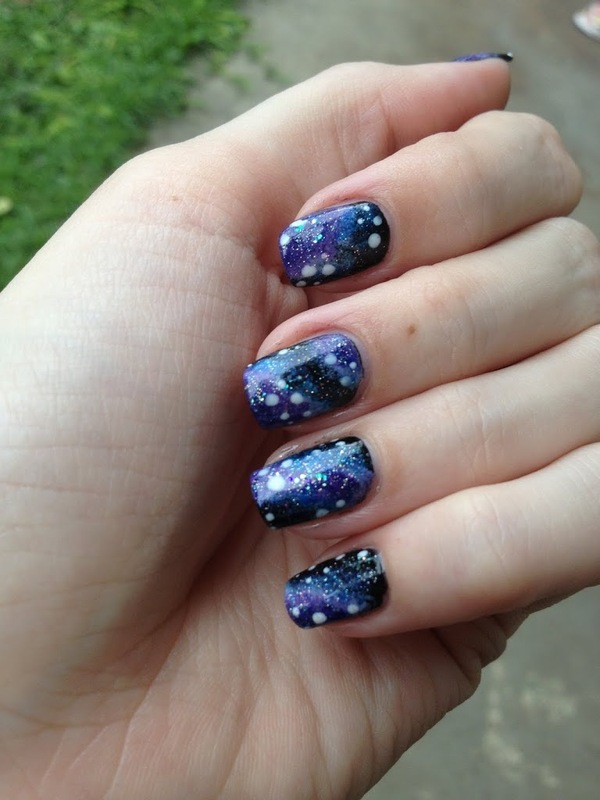 I am in love with these “galaxy nails”! My son said they remind him of the Mario Kart level in outer space. It’s called rainbow road I believe. I hate that level so much. I fall too many times! This fantastic look was fairly simple to achieve. After base coat I started with two coats of a black base and sponged white where I wanted my nebulas to make the purple pop. Then sponged three purple shades from lightest to darkest making the area covered smaller with each color. 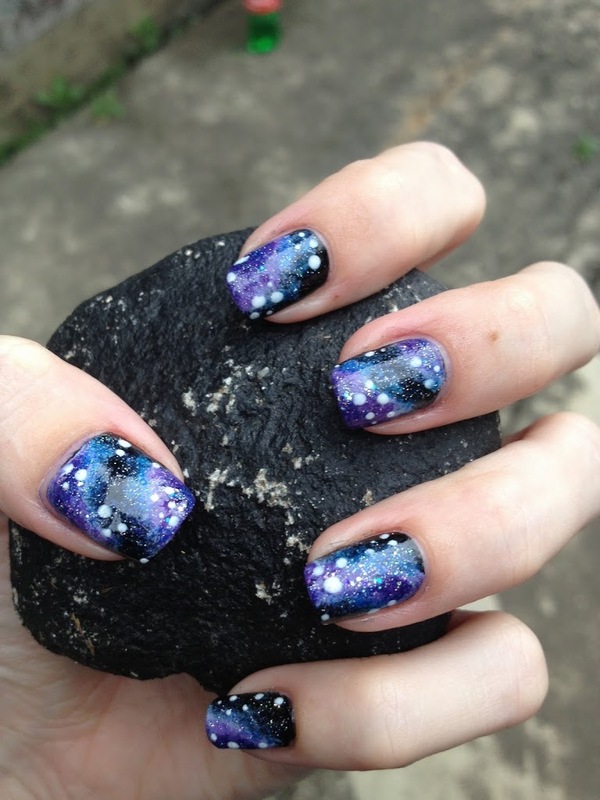 I took a blue shade and sponged very sparsely where purple meets black. Sponged a bit of holo glitter in random spots and added “stars” then top coat. Thanks! You won’t regret it if you do! They seem kind of daunting to try but it really is fun and a pretty easy look. It can be a bit messy but it is SO worth it! I would love to see your version!